Looky looky looky what we have here! Patterned paper! 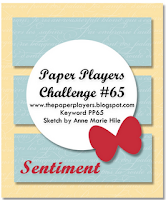 I was inspired by the Wee Memories challenge to use patterned paper. 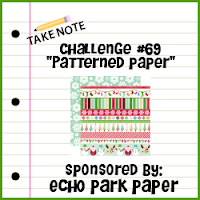 This week's sponsor is Echo Park and not only did I use patterned paper but I used Echo Park patterned paper! Oh yeah! I paired my paper with the sketch at The Paper Players and, although it's not required, I wanted to actually use a Stampin' Up stamp so I have broken these out for the first time and inked one up. Whoop whoop! I'm also going to enter this in the Simon Says Stamp Anything Goes challenge (can you tell how bad I want to win that gift certificate?). So now that I've busted out the PP I'm going to have to attempt to get a little more creative with it. Can't spend the rest of my life sticking rectangular pieces of it to card stock! 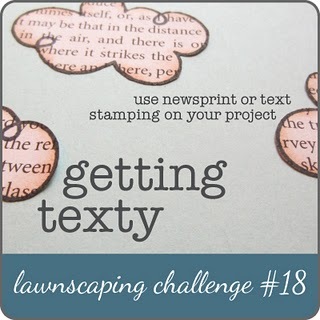 This week at Lawnscaping we're getting texty! I used stamps from two LF sets for this card - the phone and "Hello" from Just My Type and I spelled out the Blah blah blahs with Harold's ABCs. 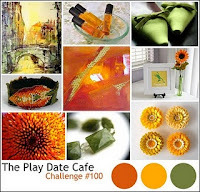 I used this fun colour combo from this week's Picture Perfect Creations challenge and I'm also going to enter this card in the Simon Says Stamp Anything Goes challenge. I kind of felt like I should be making a sympathy card today because last night Atticus caught his first (and hopefully last!) chicken. There aren't too many places you can go in Bermuda without running into feral chickens or feral cats. (And yes, they often hang out together!) This includes our evening walking route. The boys always make a mighty effort to get ahold of a chicken but usually their leashes are not quite long enough and the chickens are too quick. Last night however Atti disappeared into the bushes and reappeared with a hen in his mouth! Of course, once he had it he didn't seem to know what to do with it and dropped it pretty quickly. It was still alive but not in good shape. I would have driven it to work to have it euthanised but as Luis pointed out it might not make it that long (30 minutes not including us getting back home to the car) and I didn't want it to suffer any longer than necessary. Luckily, Luis grew up on a farm and so knew how to take care of it quickly. I know dogs are hunters and it's in their nature and I wasn't angry at Atti but I still felt pretty bad for the chicken. And the dogs will be on much shorter leashes this evening! Although this looks a bit like a kraft card base it's actually yellow - although what specific yellow I couldn't tell you as it was in my pile of random-who-knows-where-the-heck-it-came-from cardstock. The stars and sentiment are both heat embossed and because I embossed on top of embossing I had to do a bit of touching up with a Copic. 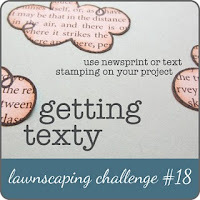 Since it's a one layer card and also uses all Unity stamps I'm entering it in this week's One Layer Wednesday challenge (to make the sentiment the focal point) and the All Things Unity challenge (to make a one layer card). 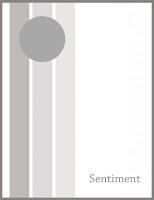 Stamps: (Sentiment and Images from January 2011 Kit of the Month - To The Moon and Back) Unity Stamp Co. It feels like I haven't been in Blogland for ages! 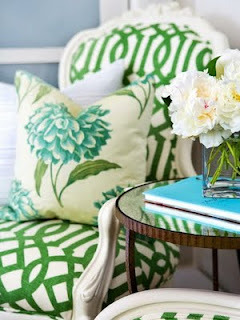 I have lots of blog surfing to catch up on. I hate feeling like I'm missing out on what everyone's been up to. I had lots of extra work shifts last week and several special orders to take care of but hopefully this week I'll get back to playing along with challenges. I'm starting today with an entry for the Play Date Cafe's colour challenge and 4 Crafty Chicks' Fall/Autumn challenge. All the stamps on this card are from the August 2010 KOM - All You Need. Yesterday was a gorgeous day. Luis and I spent the morning putting together our new BBQ - the old one was totally falling apart and really was a death trap. I was a little nervous about the task as the last time we put a BBQ together the day nearly ended in divorce (and we weren't even married yet!) However, things went a lot more smoothly this time around and I can't wait to fire up the new grill tonight! Later in the day we took the hounds for a really long swim. Unfortunately Jem took in way too much water and was feeling pretty horrible for the rest of the afternoon and evening. He wouldn't even get off the sofa to eat his dinner! Thankfully he's back to his wild self today and I'm considering getting him a life jacket which should keep his head higher out of the water in future. He looked so pathetic and sorry for himself last night that I don't want him to go through it again. Stamps: (Images & sentiment from Aug 2010 KOM - All You Need) Unity Stamp Co. I wanted to have another go at one of the sketch challenges over at the Moxie Fab World so this is my entry for the Horizontal Sketch Challenge. 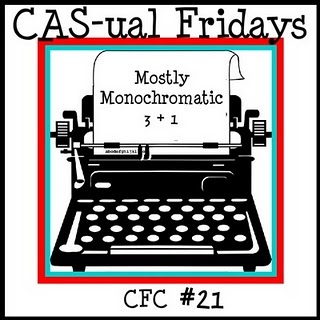 I'm also going to enter it in the Less Is More CAS Anything Goes challenge. 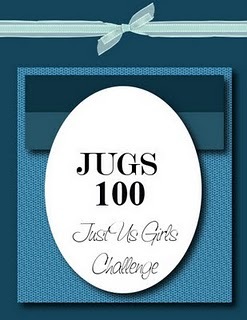 The LIM ladies are attempting to get 1000 entries so I am happy to lend a hand and help them reach their goal! :) This week's challenge at 4 Crafty Chicks is to use embossing so I am posting this puppy over there as the snowflake and sentiment are both heat embossed. And, of course, I can't forget my friends at Use It Tuesdays - here's 5 more previously uninked stamps! Also, today is Monday and time to announce the winner of my Unity blog candy! (You thought I'd forget didn't you?) Not too many comments on that post but I didn't really advertise the blog candy. I wanted it to be for people who not only were followers but who actually look at my blog regularly. I hate the idea of having a bunch of people suddenly become followers just do win some free stash. I also enjoyed reading what products people are enjoying these days although asking for that was a bit of self torture given the shopping ban!! :) Okay, let's get to the part you really want to read - without further ado here's the winner! When I woke up this morning I thought that it was much earlier than it actually was as it was so dark outside. Yes! It was a gorgeous, grey, thundery, rainy day! Whoo hoo! So I abandoned hubby and the dogs and high tailed it to the Craft Cave for some much needed crafty time. I started with this week's ColourQ colours and decided I would also play along with Use It Tuesday's challenge to use an uninked stamp. 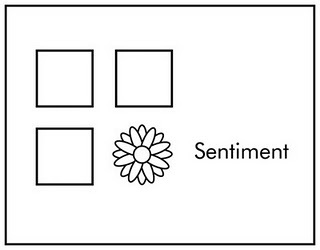 ETA: Neither of these stamps had been inked before. 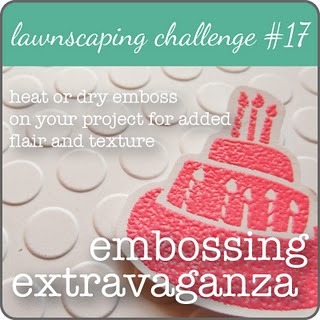 (Actually, I could probably enter that challenge every day for the next few months!) My card is also eligible for the Wee Memories challenge to not use patterned paper. Triple challenge score! Whoop whoop! I stamped, embossed, fussy cut and paper pieced the Unity image and then coloured the gems with Copics to match. Wasn't sure at first about having that much grey on a Christmas card but I like it! What do you think? It wasn't as grey and rainy as I hoped it would be today - just really humid. Yuck. Hopefully once TS Maria goes by tomorrow the humidity will lift. I managed to get into the Craft Cave for a bit this afternoon and put together a card for this week's CAS-ual Fridays challenge - a fall themed card using paper piecing. 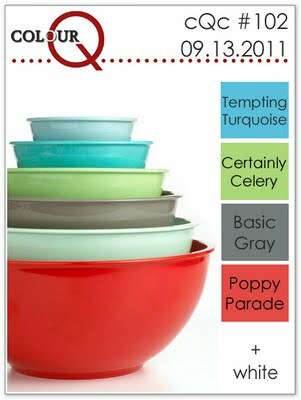 I think SU's Cajun Craze is a perfect fall colour and goes really well with the Basic Grey papers. Short and sweet for now. I'll be back a bit later with another challenge card! First up is a baby card requested by a coworker. Her friend is apparently very rock and roll and not into anything particularly girlie. So my coworker requested a baby card for her that wasn't "too fluffy -perhaps something with a skull and crossbones!" LOL! Definitely not your typical baby card. I had fun putting it together though and thanks to my DCWV Rock Star paper stack it wasn't too difficult. This card took a little more thought. My friend Julie and her newborn spent the first month of the baby's life in hospital in Canada as her baby had some issues with her trachea. Now that little Maisie is 6 months old and thriving Julie wanted to send a thank you card to the staff at the hospital. She wanted it to reflect pediatric medicine in some way and not just be a generic thank you card. I have no medical/doctor/nurse type stamps so finally settled on the red cross symbol and a teddy bear. I wasn't sure if it was quite what she wanted but thankfully Julie's really happy with it. For any of you who read my last post you know that this post should have appeared on Friday. Unfortunately work and life got in the way and I haven't had much quality time with my computer. The card from the last post used stamps from Unity Stamp Company's August Kit of the Month. 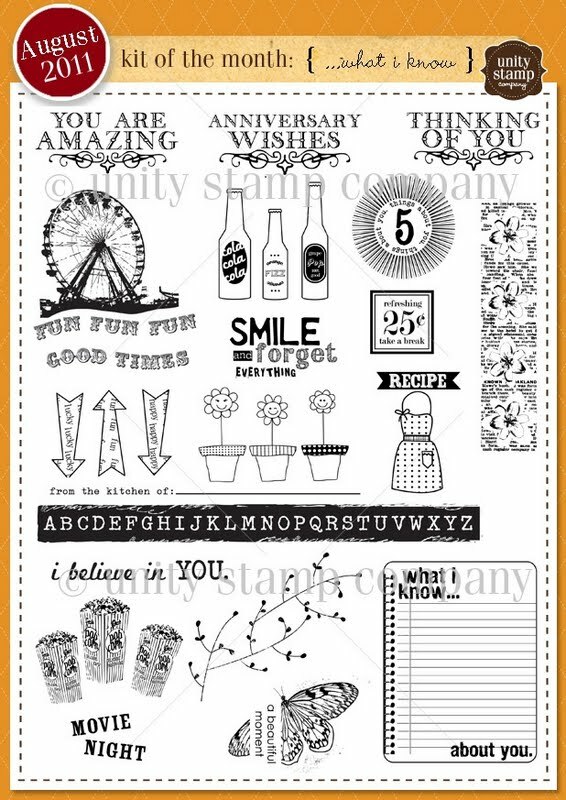 Thanks to Emily I have become a huge fan of Unity stamps. Their stamps are fantastic quality, deeply etched red rubber and they have a huge range of images and sentiments. As well as their own fabulous team of in-house designers, Unity co-brands with a number of other companies (such as Echo Park, Jillibean Soup, Bella Blvd and Cosmo Cricket) which brings even more diversity to the company. I subscribe to their Kit of the Month program and have yet to receive a set that doesn't have at least one stamp that appeals to me. There are regularly fantastic deals to be found in the Unity store and their customer service is outstanding. 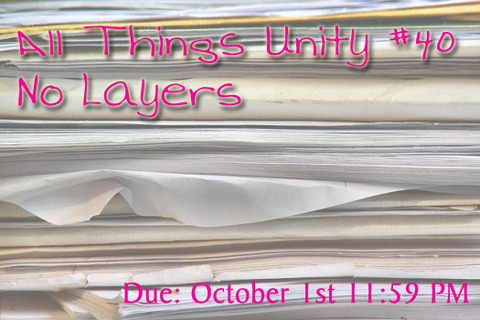 If you've never checked out Unity before then today is the day to do it! Last week ColourQ celebrated it's 100th challenge and this week Just Us Girls has also reached the 100th challenge milestone! They've brought out their inaugural sketch from October 2009 for their 100th which I think is a cute idea. It was fun to look back at the first DT entries and then see what they're doing now. I'm not so great with sketches but as with ColourQ I couldn't miss out on the 100th challenge so I sucked it up! For my card I turned the sketch sideways. I used stamps from Unity's August Kit of the Month and an old ColourQ colour combo. I love this ferris wheel image and if you come back and visit tomorrow you too could have some Fun Fun Fun with it!